I'm ok, sometimes, with food deliveries taking awhile but much past an hour and my tolerance sinks rapidly. Especially when it's coming from a fast causal place less than a block away. 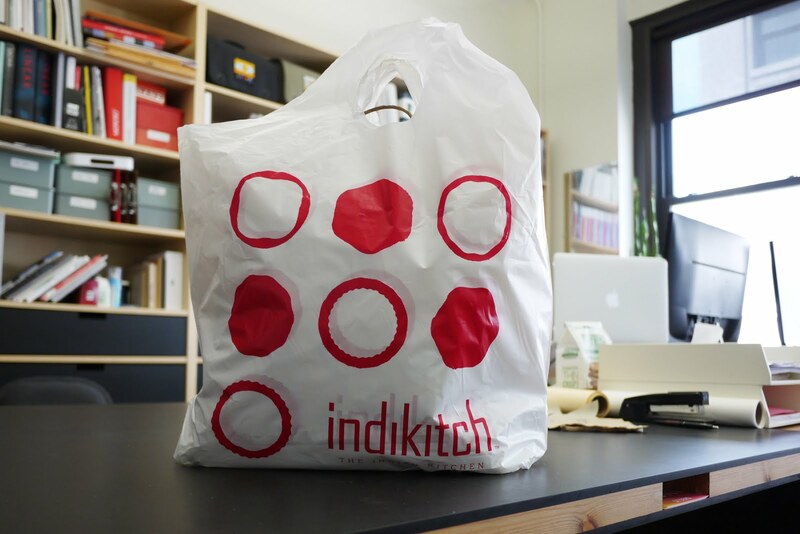 I'm talking about Indikitch, a place notorious for its long lunch line snaking the length of the restaurant. It shows you how desperate we are here in the Flatiron District for cheap Indian food that people are still willing to wait in line, but man, whatever you do, do NOT order delivery. Or do but be prepared to wait over an hour. Sorry there's no picture of delicious food today, we were too hungry to remember to take a photo.